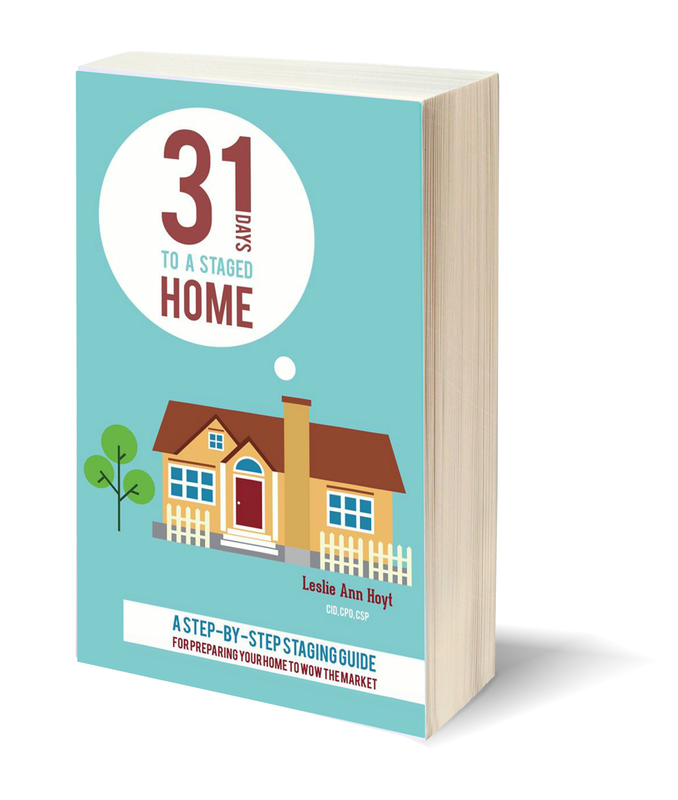 and you'd like to start at the beginning of this series, entitled 31 Days to a Staged Home, click HERE. which, as it turns out, isn't such small stuff, after all. Today's post could also be entitled "The Devil Is in the Details". through the minor elements of your house. The things on this list are whole-house assignments that you'll need to rectify and remedy. The list consist of whole house changes to update for selling. "Let's sign the closing papers!" we go room-by-room and into even more detail about each of the elements mentioned above. Tomorrow, the topic is A Staging Area. Come back, find out, and I'll show you mine. All very sound advice! 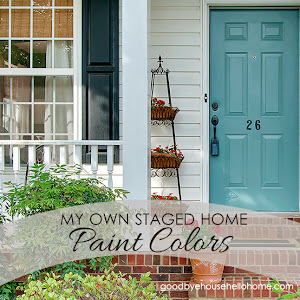 We bought just a little over a year ago, & I couldn't believe how some of the houses looked. I can look beyond some things, but when you feel the need to use hand sanitizer immediately after going through a house, then it's probably way too dirty! Great tips!! Thanks a bunch!! Fantastic tips. Many of them I knew and practice but looking at the air vents and thresholds was new for me! And those doorknobs you posted....drool! Thank you for taking the time to offer these tips for free. They are very helpful and very much appreciated! SO many good tips! We recently toured a home that had the worst linoleum I've ever seen. Although the rest of the house was nice- I could not understand why they would not replace that area- especially since it was such a small entryway. 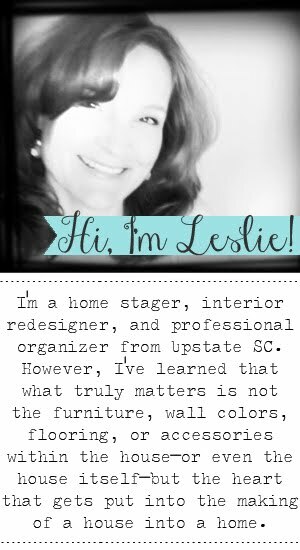 I wish every seller read your blog! Thank you for all of of this advice! I've been reading lately that interior doors should be painted black give the home a higher end look, what's your opinion on that? 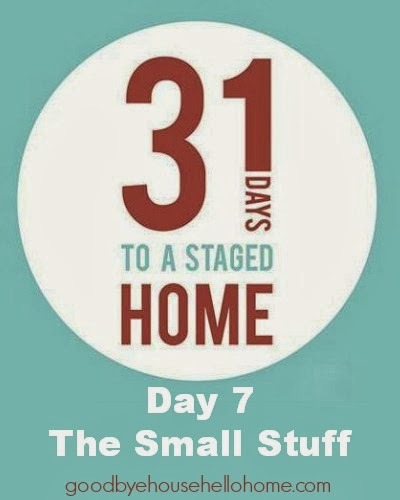 I run an ad agency and would like to advertise for 12 months on your blog (http://www.goodbyehousehellohome.com/2012/10/31-days-to-staged-home-day-7-small-stuff.html) on behalf of one of my client - a leading site for naukri and job related. I'm mostly interested in textlink advertising - please let me know asap if there's interest and how much would it cost? am so frustrated...can't see the lists everyone is talking about...went on facebook page too and am I missing something obvious. Had daughter look as well...she can't find the above mentioned lists. Please help.....thanks!!! Hello! I'm looking for that ebook/PDF with all the information conveniently compiled, but I can't seem to find it! Is there something I'm missing?